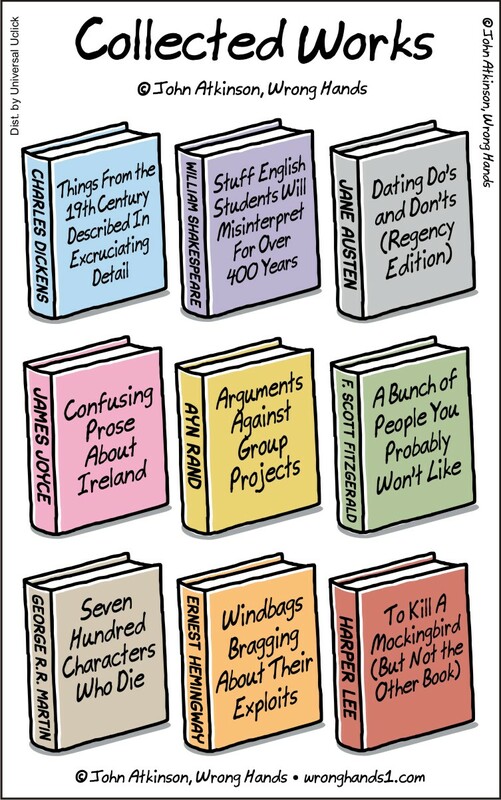 You can discover more of John Atkinson’s clever stuff right here. This entry was posted in Art, Books, Writing and tagged Cartoons, Comics, Literature. Bookmark the permalink.